“Another Kölsch, please” is definitively an ambiguous statement. Either you are ordering another beer in a pub in Cologne or you are asking, preferable in the same town at Kompakt’s flagship store, for melodic, highly-flammable, pyro-techno records that are masterfully arranged by Kölsch in a way that you could bomb your ‘Opa’ homeless in case he is planning to cut you out of his will. Born in Copenhagen with a German-Irish parent combo, Rune Reilly Kölsch navigated safely between all facets of electronic music from commercial house with his 2003 worldwide, football stadium anthem ‘Calabria’ to hallmark techno crescendos like ‘Goldfisch’ as cool as a hard-drinker can manage beer, gløgg and whisky at the same time. Unlike his Northern neighbours, Kölsch did not decide to form a cartel of average music but developed a style that fits perfectly with Kompakt’s native attitude for its Speicher series: ‘no fillers, just killers’. 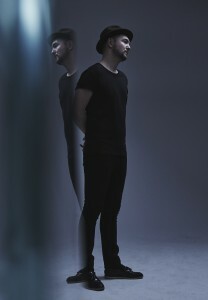 Hence, it doesn’t surprise that label head Michael Mayer signed him for several releases under the label’s most successful series in 2010 and released Kölsch’s debut album ‘1997’ at a perfect timing while Kompakt was celebrating its 20th anniversary in 2013. After outstanding releases, Kölsch demonstrates his eclectic style by compiling a diverse, 19 tracks chapter for the Australian quality “Balance series”. Have a pre-listen below. Official release in Europe and Asia is the 1st December, friends from The States have to wait until 9th December 2014.